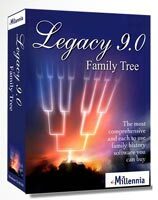 This genealogy software program can offer you a lot more than other programs that are on the market. RootsMagic 7 allows you to create the most reports out of all the genealogy software programs that are available to you. One other key advantage with this program is the ability to open more than one database at a time. This is particularly useful for when you are tracing multiple branches. Bottom Line Offers A Lot! www.Amazon.com – Also available for Amazon Prime customers! This RootsMagic 7 review will explore the features that are included in this genealogy software program and how it can benefit you! Please check out my Best Genealogy Software Programs where I review the best software on the market today. And then after that then why not head over to Top Ten Reviews where there is a Top 10 Best Genealogy Software of 2018 guide. The main screen of RootsMagic 7 offers you six different views of your family tree. Whenever you are researching your ancestry you may want to refer to different information and so a different view will be of benefit to you. You can navigate the different views by either the mouse or the arrow keys. A sidebar to the left of the program is also available that alphabetically lists your family. Here you will be able to access any of your ancestors quite quickly and easily. From this sidebar you can select a person and this will bring up all of their information. You can easily update and edit their record from here. As I mentioned at the earlier, with this program you can open more than one database at a time. That means you can have any number of family trees open at a time. This is useful if you want to compare a tree that you have received against your own tree. For example, you may have a common ancestor between the two trees. Without adding or merging the two trees you can compare branches further up the trees. So, from this you can check if there are any differences between the trees. Also, with this approach you may wish to view your ancestor’s paternal and maternal ancestors. This is useful if say you have conducted extensive research on both sides of your family. Edit an unlimited number of facts for your ancestor! RootsMagic 7 allows you to enter the usual birth, death, marriage and occupation details. And also a lot more. However, if you do not find a fact type that you want then you can enter your own. So, this program does offer some flexibility with your research. 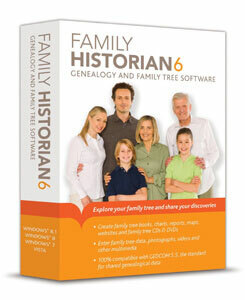 This is something that truly makes RootsMagic 7 stand out among the other genealogy software programs. There is always something that you will find that you can’t figure out just where to put it in. So, this will be quite helpful for you. You can also add notes and an unlimited number of citations for the facts that you enter. Adding additional information is essential for the researcher as you will want to make notes of what you want to research next. The edit screen will show all the information that you have entered for your ancestor. DNA test results, (if any), and alternate names, can also be accessed from here. Very handy indeed if you are conducting genetic research. Finding and editing information is easy using the RootsMagic Explorer! To search your family tree you can use the RootsMagic Explorer. This is in essence the heart of the program. From here you can search your ancestor by their first name, surname or any particular search that you wish. One great advantage with this program is that you can even search women of your family by their married names. So, if you can’t remember their maiden name then this won’t be a problem for you. How RootsMagic Can Benefit You? This program when connected to the Internet will show web-hints next to your ancestor. These will come in the form of a light bulb. Clicking on this light bulb will then open up a web browser. And then from here you will be able to find records about your ancestor. 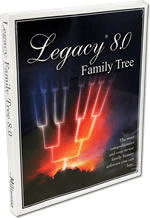 The advantage of using genealogy software today is that not only can you create and build your family tree but you can also do research as well. This is all within the one program. Unfortunately, though some records may require a subscription. RootsMagic 7 allows you to connect with two of the biggest genealogy sites online. They are Family Search and MyHeritage, both of which require a subscription. However, do not despair at the thought of spending more money as you can benefit greatly from joining these sites. The MyHeritage site has over 83 million users and is available in 42 different languages. Here you will be able to search for birth, death, and marriages, as well records such as military, immigration, historical newspapers and even more. Joining MyHeritage is clearly an advantage with this program as I have just mentioned. Well, firstly it will show you hints to records that maybe connected to your ancestor. This could be a birth or Census record or your ancestor may have appeared in a newspaper article. There are millions of records that you can search for. And chances are YOU WILL find something on your ancestor. MyHeritage also has a community of millions of members, all of whom share their own family tree. Web hints may bring up a member’s family tree. So, with this feature you may find information on your family and also a living relation as well. The great thing about finding a cousin through a genealogy search website such as this is that you can compare notes. Genealogy research can be so much easier when you are working together with someone else. And using RootsMagic 7 makes this possible. One more thing that you can do from the MyHeritage website is export your family tree as a GEDCOM file. A GEDCOM file is your family tree in digital form. By exporting this file you can back it up onto your computer or flash drive. It is always a good idea to have multiple copies just in case one of them gets corrupt or lost. You can easily share this file with anyone, such as relatives who may also be researching on your family tree. RootsMagic 7 will make your task of sharing your research far easier by the creation of such a file. Create Reports, Charts and more! I have already shown you the advantages of this program, such as adding unlimited facts, opening more than one database, and accessing webhints. But there are more options and features that RootsMagic 7 offers. Ability to publish your research! You can publish your own work for whatever purpose you wish. From your family tree in RootsMagic 7 you can create books, reports, charts, CDs, maps and even publish your work online as a website. For you these are just other ways that you can share your research with your family. RootsMagic 7 lets you create pedigree, relationship and wall charts, family group sheets, and reports. Through this program you can also make mailing labels, calendars and photo trees. If you cannot find a report that suits you then you easily customize your own. Just another way to customize the program. Write your own family history book! You may wish to write a family history book. This program can do just that and include your reports, charts and photos. To make your book look even more professional there is also the option of adding a cover, title, copyright, dedication and even more pages. After you have produced your book you can then print it out, save it as a PDF file, burn to a CD or email to anyone. Through researching my own ancestry I have learned a lot by creating my own book. I could put all of my ancestors information in the book. By putting information in chronological order it helped me see what information was missing. The charts available with this program include the usual ancestor, descendant and hourglass. All of these you can customize the positioning, text, size and fonts. You can also add pictures to the chart and give the chart a background as well. This will help you make your charts stand out even more so. RootsMagic 7 also offers a free hosting service where you can publish your family tree online. Your tree can be in the form of pedigree, family or individual view. These websites are dynamic so if you make a mistake you can change it easily. Your family tree website can then be shared with anyone else who is interested in your ancestry. For a sample website click here. And Just A Few More Benefits! When you start building your family tree you may inadvertently add an ancestor twice. RootsMagic will automatically checks for duplications and will list these with the most likely appearing first. You can either merge the information that shows in both records or chose to ignore it. I mentioned before that you can export your tree from the MyHeritage website. If you are not connected to the Internet or this website you can still transfer your family tree. The RootsMagic To-Go feature allows you to save your tree onto a flash drive or removable device. At times you may need to work on your elsewhere besides your own computer. Not only will this feature save your tree but also the RootsMagic 7 program. So, you can then work on your research while also using your genealogy software program. This is particularly helpful if say your computer has crashed on you or you are conducting research on your relative’s computer. One key disadvantage with RootsMagic 7 is that it is not the easiest program to use out of all the genealogy programs that are available out there on the market. This is due to the outdated interface with its misleading tabs on the toolbar. You do though have support from online resources, printed material and video tutorial. Unfortunately there is no FAQ support available. 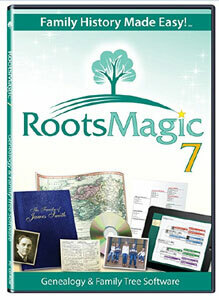 However, RootsMagic 7 is still a popular choice among family historians to purchase. You can buy RootsMagic 7 in either the US or the UK. A genealogy software program is the only way to go when you are researching your family history. But it can be a challenge to decide which program is right for you. So, if you are wanting one that creates a variety of different reports then RootsMagic 7 is the one for you. But you do want a program where you can create, build your tree and add all sorts of information concerning your ancestors. This program will do just that but also allow you to connect to genealogy search websites where you can conduct further research. Offers A Lot To You! 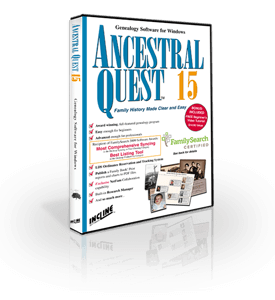 This is award-winning genealogy software! I hope you enjoyed this RootsMagic 7 review and how it can help you. If you have any questions or comments then please leave a comment below. Your FTM review plays up the color coding but not one mention of RootsMagic’s color coding. Why? Apologies. I will have to add that. One correction, FamilySearch.org now requires a login, but it is still free and will always be free ( no subscription required). Legacy: X-DNA is only one part of of autosomal DNA. What type of DNA results can be displayed and how can you keep track of living people your sample matches with, and common ancestors that you may have with them in your family tree? If a program allows you to enter personal stories and photos etc, do you need to specify something in order for those not to be uploaded to the public on the websites? Thanks very much for that information and for your suggestions. I will take them onboard and update this review. This appears to be a fantastic program! I was not aware that something like this actually exists! I find it to be very fascinating and the number of people who use genealogy sites is unbelievable! I really want to explore this some more and I know other people who would be extremely interested as well! I really like the idea of creating a family history book! Thank you for all of the information you have provided, it’s an excellent review! You are most welcome. The genealogy software programs today can offer you so much, and RootsMagic 7 is no exception. Joining up to a genealogy search website is an excellent way to further trace your family tree. All the best with your genealogy research and thank you again for your comment. Very interesting! I am also very interested in geneology and have done a lot of research on another site. I did not know about this one, and it seems it might have some advantages. Your website was thorough and easy to follow. Thanks for all the good information! Thank you very much. My aim is to provide useful guides and tips for the genealogist of any experience. I’ve always thought that genealogy is reserved for people who are professional researches or scientists. But now I realise that there is even a software that is created for just about anyone who wants to dig deep into their family’s heritage. The software looks very intuitive and easy to use. It definitely makes researching much easier. I’m wondering if it is possible to actually print out these software charts, so that we can have a hardcopy of them? More and more people are doing their own family genealogy these days. Software like this has made it very easy to create your family tree. And you can also research your ancestors through websites like Ancestry. What an interesting read! I realize it is a bit off topic, but I recently used the Wisdom Dog Panel DNA test to find out more about the breeds in my rescue dog Diamond. It was so interesting because she was a 4-week-old rescue, so we had no idea what breed she was. We always thought she was blue heeler mixed with collie. Turns out she is blue heeler, Australian shepherd mixed with a bit of other protective breeds. I imagine it is even more exciting to find out about your own family history. 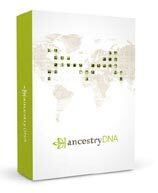 This would be especially interesting for me, considering the fact that I know very little about my origin and ancestry. Thanks for all of the time and energy you put into gathering this information. It’s very useful! It is exciting to find out your family history as you don’t know what you will find. RootsMagic7 sounds like a versatile product. I used a different software program in the past and although that program was user friendly, it was not transportable by flash drive. I ended up losing a great deal of my research. Does RootMagic7 include online upgrades or do you have to continually purchase upgrades? 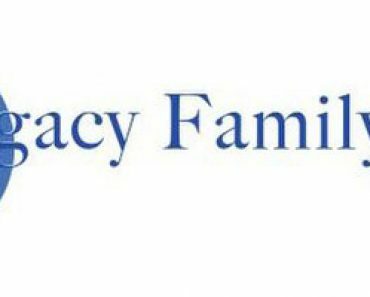 Overall I found your page very informative as to the functionality and capability, and usefulness, of RootsMagic 7 as a genealogy tool. It seems that this genealogy software program can do quite a lot of useful things. 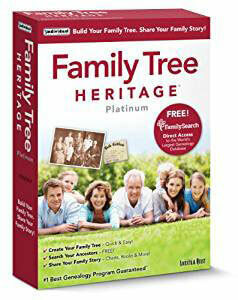 I would be very much interested in buying this product to help me build and resarch my family tree. Very interesting, I had no idea there were programs like this. Would someone use this just as a hobby or would it be used professional as well? And I like how it gives you more information on people that you enter, by clicking on the light bulb. I can imagine that would be very useful but to bad some of it you have to sign up for. Thanks for teaching me about this program! The beauty of genealogy software programs today is that anyone can use theme. Whether you are just doing genealogy as a hobby or are a professional. As this program is easy to use it is a popular choice. You can create so many reports charts, and as well online if you wish too. But the thing I like most about this is that you can not only save your tree on a flash drive but also the program as well, so in essence you can work on your tree anywhere you are. I have to say that Genealogy is something of great interest to me! I’ve used many website, many of which are vague, difficult to follow and with very limited access but I’m loving the Roots Magic 7, I have confidence that it will help and aid me to find the ancestor that I’ve been trying to find for years. The side bar is very useful to enable you to search, update and edit, all of which I’ve struggled with many times! Advantageous to think that you can keep your family tree safe with the addition of being able to publish online too. The layout is easy to read, engage with and all the leads and information at the click of a button – impressed! Using a genealogy software program like RootsMagic 7 Has its advantages over pencil and paper. There are so many advantages if you purchase this program. It is also great that you can publish online. By doing this your relatives can view the family tree that you have been working on. Also, it’s a great way to collaborate work rather than you solely doing all the research.